Tadd wanted a bike to pedal up Master Link and grin down O.T.G. Was there ever any doubt? The Following v.1 was pretty damn good. Bottomless 120/120 bikes are nippy and fun. Then Evil decided to freshen it up with wider spacing and trunion-ier mounts and with plus tires it's stupid fun. With 29ers it's a stupid fast Swiss army knife and the perfect bike for Tadd. The new matte-not-black Evil paint offerings are ridiculously cool. Subtly badass. 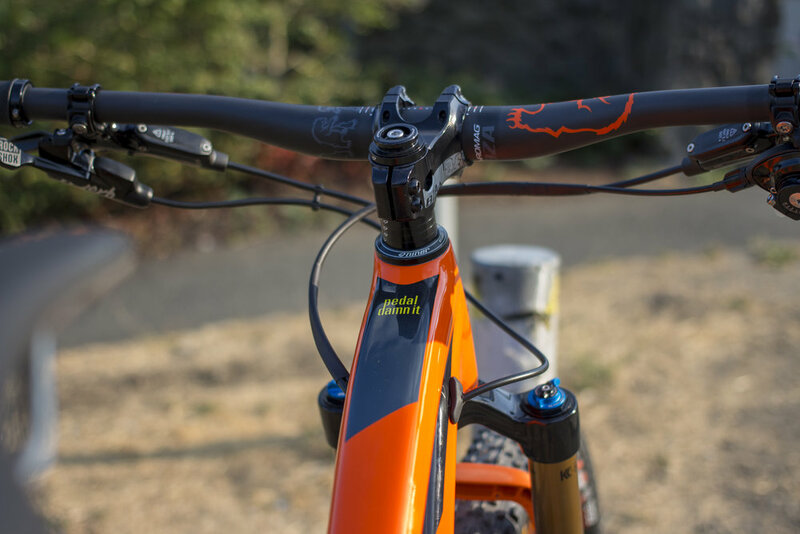 Tadd chose the X01 build for maximum shifting. And maximum shifting performance. 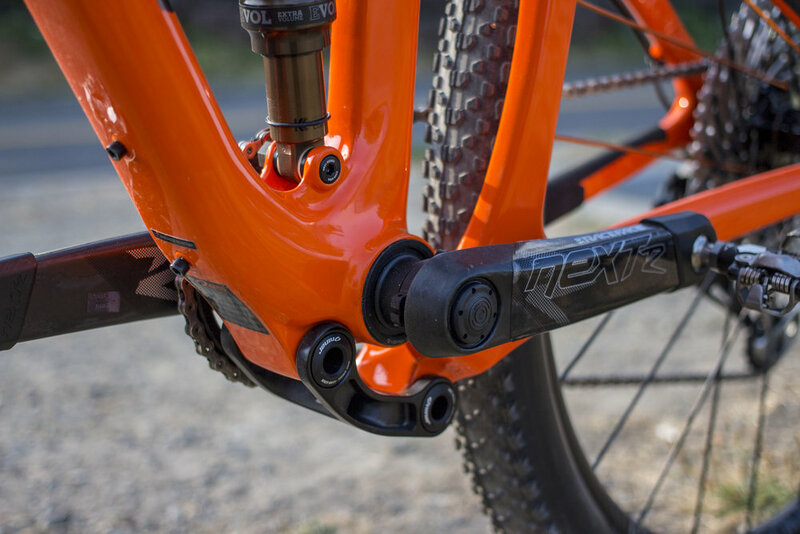 The OneUp Comp pedals are the best pedals out there, argue otherwise and you're wrong. or have a different preference for a very subjective bike component. You'll hear em before they come into view, and you'll see gold reflections on the trees before you see the wheels, but boy when you finally see em... they gold. They really gold. Industry Nine makes some of the best mountain bike wheels in the game for a ridiculous price. Strong, stiff, and light. And customizable! These Trail 270s got a level two custom pack, but you can go level three and go crazy with multiple colors. Susan wanted a bike to replace her Scattante that'd be longer on long road rides, cruise the Iron Horse to Hyak, and take fenders. 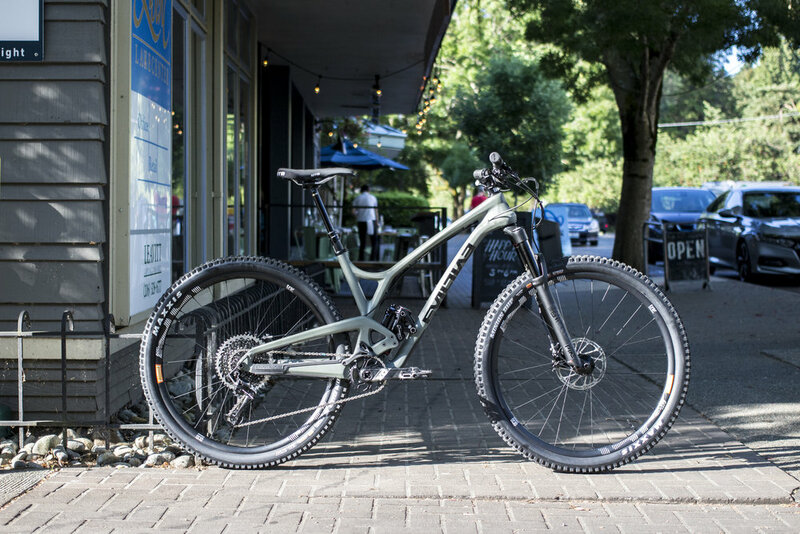 And the RLT 9 RDO does all that while still being fun. 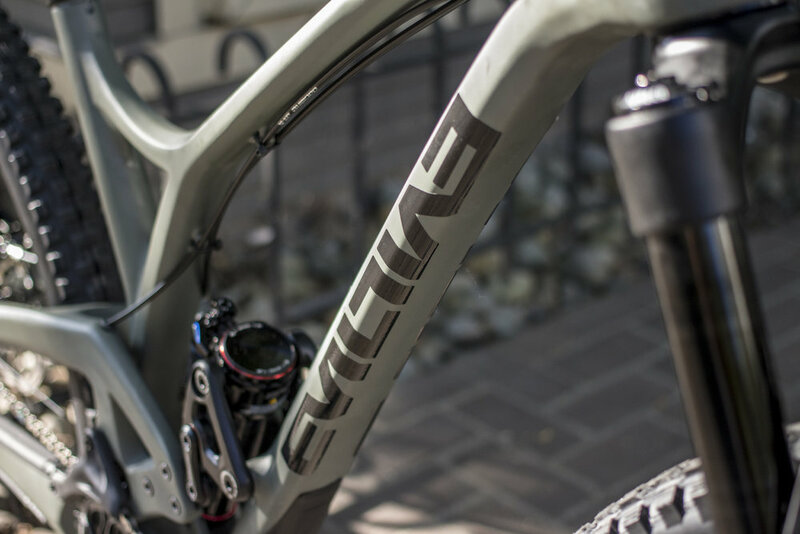 We put gunmetal grey PDW Full Metal Fenders on, and they look so smooth. It's always great when accents match, and the fenders are the same metallic satin as the stainless steel bottle cages we bolted on. 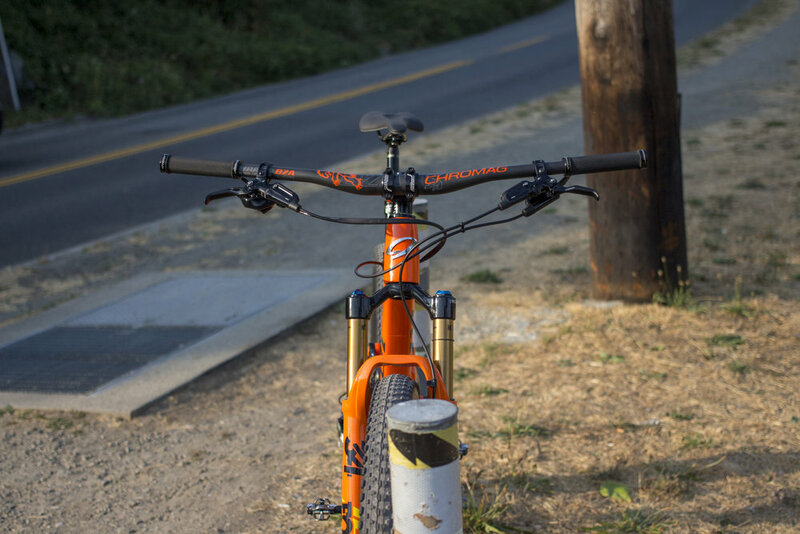 The RLTs come with fender hardware, but custom fab is always fun! Susan's other big criteria was tubeless tires. The Compass Barlow Pass is a fabulous all-year speed cushion. 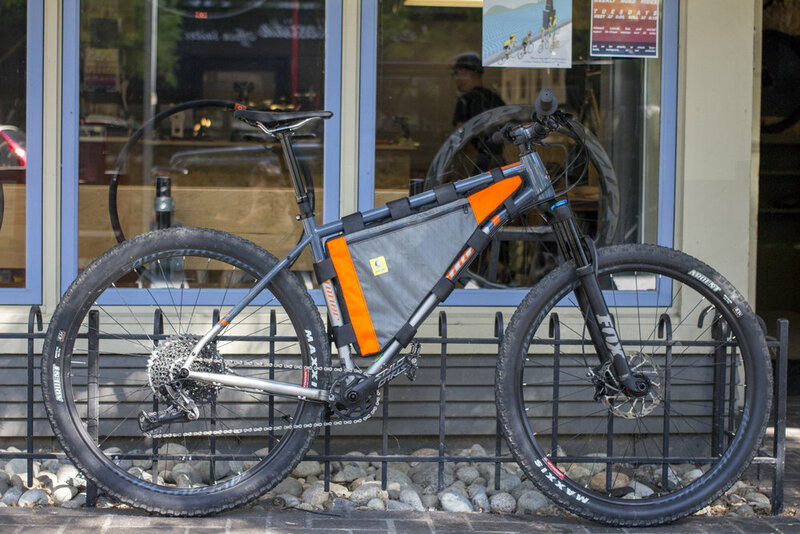 The bike was a great starting point, and we passed the bag design off to Aaron at Big Tuna Bags. 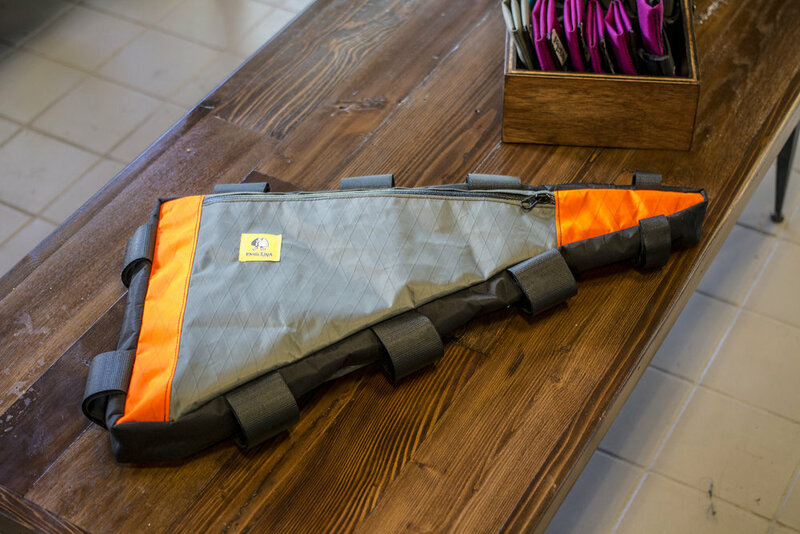 This frame bag is a full custom color-matched job. You'll never see two identical ones. There's not much more to say, so enjoy the rest of these pics of the hand-stitched bag! This bike is gonna be extra-sick when we swap to some plus-sized wheels!! Here are some snaps of the awesome RLT we built for our friend Paul. He wanted to have a bike that could crush a long road ride on Saturday and rip the Thrilla Route on Sunday morning. We outfitted it with a pair of Compass Barlow Passes set tubeless and heatshrinked (heatshrunk? heatshrank?) the cables and hoses for the cleanest look possible outside of eTap. Riley's obsession with clean front ends (not to say that a clean rear end isn't important—it absolutely is) got us here. 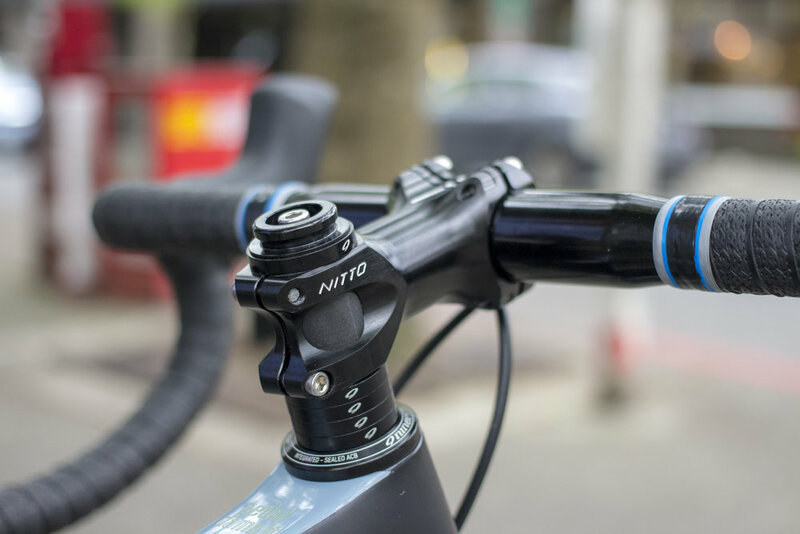 The nice thing is that Niner and Compass took care of the rear on this build. Clean!! Our friend Steve made a plan to go to France and ride bikes and listen to music. It sounded pretty rough, so we were glad when he decided to build an awesome Ritchey Breakaway with a full R8000 kit. 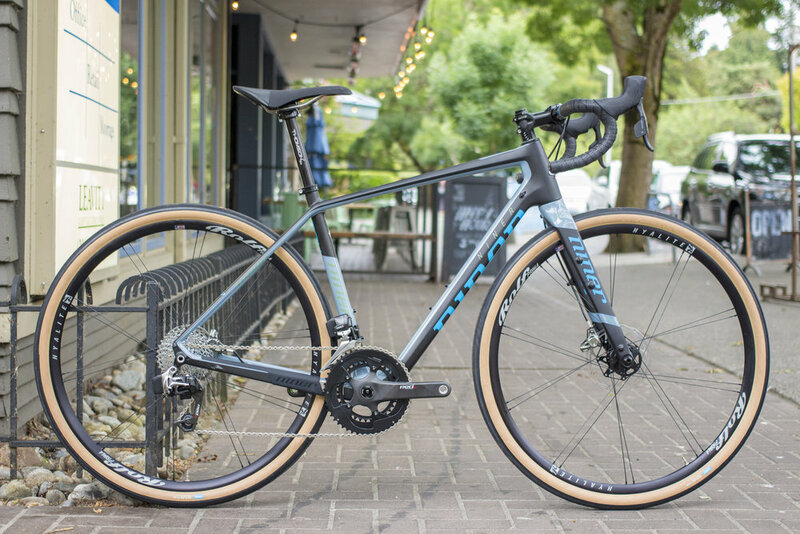 Upon his return, he reported that the steel frame smoothed out the already pretty smooth French and Swiss roads, and the handsome classic geometry looks good regardless of what continent you're in. There's something undeniably cool about the Breakwaway linkages. We like being able to see and feel the material of a bike, and this look does that. S&S couplers are fantastic and we love them as well, but they're a bit more modern and the process is lost a bit. 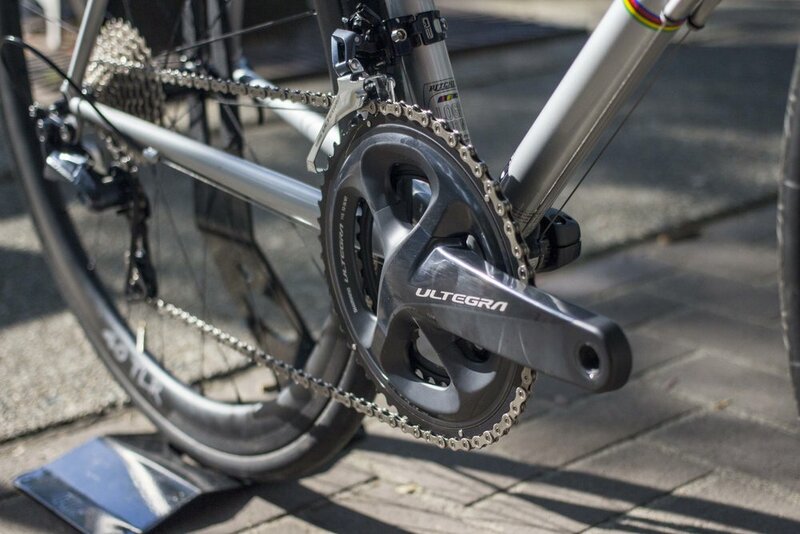 There's nothing left to say about the new Ultegra. 6700 worked, 6800 was awesome, R8000 is nearly perfect.